The sharpened end of a heavy blade tool generally used for chopping wood. 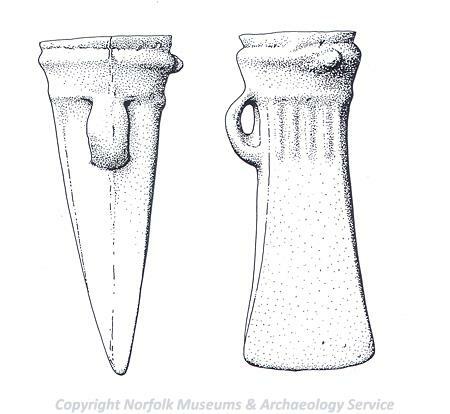 The axehead would normally be attached to a wooden shaft but the wooden shaft rarely survives. Axeheads can be flint, copper alloy or iron.